I am lucky that I can get away with light to medium coverage products so currently I have gone back to using the Bare Minerals Original Foundation in Medium Beige and if I am going out to somewhere special and want to amp it up I use the Diorskin Airflash Spray Foundation in Medium Beige 300. I shake the bottle, spray it to the back of my hand and apply it to my face with a flat top kabuki brush. I am obsessed with finding the perfect concealer. Currently, I am alternating between the MAC pro longwear or the Nars Radiant Creamy Concealer - they are both quite amazing and I always set it with a powder. I used to be all about the fake lashes in my clubbing youthful days, but now the only time I ever put them on is during formal ocassions - weddings, company christmas parties etc. When I apply falsies, I usually go for the half strips, not the full ones - I just like my volume and dramatic effect on the outer corners of my eyes. Don't want to look over done, dramatic or like I have two caterpillars on my eyes. Benefit - They're Real and if I want to use a fiber mascara I'm really liking the Maybelline Illegal Lengths masacara in Black - I scored this at Loblaws superstore for $2.88.. booyah! Really hard to say - each store has its own specialties. Sephora is a kid in the candy store concept for me, I go in and all these different brands and packaging pop out at me (I am a sucker for pretty packaging) and I get to try some of everything. 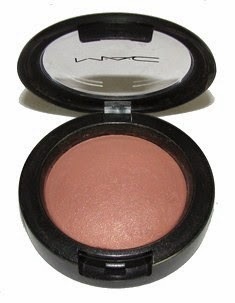 MAC does some amazing paint pots, blushes and eyeshadows. I don't believe that one store ultimately can answer all your prayers....need variety!! um... where do I even begin? How bout I just list out brands I use on a daily basis for brushes? Hakuhodo, Real Techniques, MAC, Dior, NARS and Sephora. YES! If i don't use primer, my oily eyelids will have all my hard work melted away within an hour... If I need extra staying power I use the Urban Decay Primer Potion, if not, I normally use the MAC Paint Pots - they are amazing and give you a nice base coat of color to start with as well. 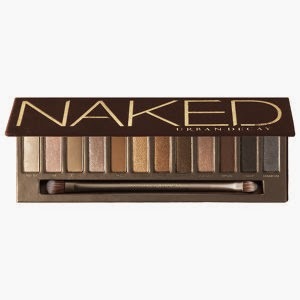 I really can't pick - can I cheat and say I can't go without my original Naked 1 Palette? Pigment is so important. What is the point of applying eyeshadow if there's no pigment...However, I am not really a fan of loose pigment shadows I found those harder to control and I am all about being effortless. Lipsticks - I love MAC and Inglot lipsticks... can't go wrong! Nice pigment and scent. ahhh... Blush is my weakness!! I have soooo many blushes. My favorite has to be MAC Warm Soul. Alright...This has been bottling inside me for years and I finally have to say it. My biggest pet peeve is when people apply eyeliner on the middle of the eyelid. like drawing out a black line in the MIDDLE of the eyelid and you can clearly see flesh on the upper waterline.. not sure if I am describing this properly but it is my BIGGEST peeve!! ahh!! It all depends on how the mood strikes me that day. Typically on weekdays when I go to work, I go for the neutral look and maybe do a colored lip - If i go out to an event, I'll do the dramatic look, purple smokey eyes etc. concealer. no one likes panda eyes. Yea - sometimes you just want to bum it out and be lazy! Ironically though, it's always those days that I bump into someone I know... and I look like a wreck.. :( sad. I don't think that there is a "BEST" out there - not one company out there makes the best in all lines of their makeup... eyeliner, shadow, lipstick etc... A company I am quite fond of is Bobbi Brown? but still there are some hits and misses... it is actually quite hard to pick one.. sorry! I hope my answers weren't too long and that you all enjoy reading my thoughts to the 18 questions above...Thanks again Vibussha for tagging me for this post! Thank you so much for your comments! Please subscribe to my blog and follow me on twitter - I am heading over to your blog right now, love the simplicity of your blog and layout.. also.... law school eh? smartie pants! !